The riveting first-person account of how Al Siebert found himself locked up in the back ward of a VA hospital. 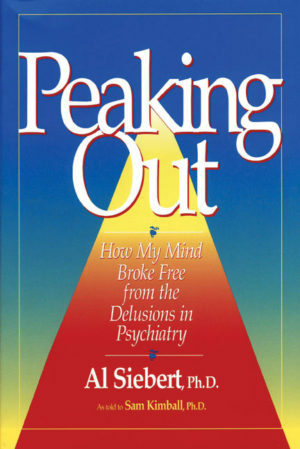 Peaking Out is a riveting personal account of how Al Siebert went through a life-transforming "peak" experience after receiving his PhD in clinical psychology from the University of Michigan. Siebert then was awarded a prestigious post-doctoral fellowship by the Menninger Institute. During the time before the fellowship began, he was working as a staff psychologist at the Neuropsychiatric Institute at the Unversity of Michigan Hospital where he interviewed a young woman diagnosed as paranoid schizophrenic in a way that led to her immediate recovery. When he moved to Topeka to start his fellowship, he told his supervisors about his extraordinary breakthrough. The Menninger psychiatrists immediately declared him severely mentally ill, canceled his fellowship, and had him locked up in the back ward of a VA psychiatric hospital diagnosed as paranoid schizophrenic. A month later he "eloped" from the VA hospital. Signed out "Against Medical Advice" for forty years, this respected educator, author, and community leader finally told his fascinating story. 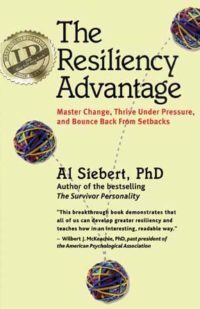 In Peaking Out, Siebert describes his joyous, mind-freeing peak experience, and shows how by following Nietschze’s famous statement "That which does not kill me makes me stronger," he was led to discover the inner nature of highly resilient survivors. * If Credit card payment, look for the “Note to Seller” on the PayPal page and click “Add.” If check payment, enter your comments in the “Order Notes” field. "It requires enormous courage for a former ‘mental patient’ to take a public stand against the demoralizing effects of involuntary psychiatric hospitalization. 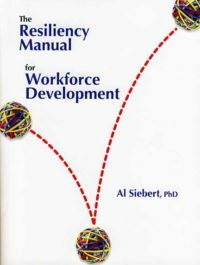 Al Siebert not only defended and expressed his own identity, he has become an effective champion for the rights of those who have been harmed by psychiatric authoritarianism. He is an inspiration!" 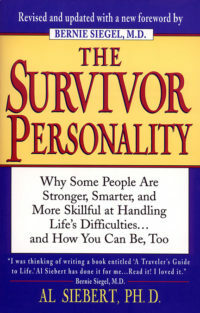 "This is an impressive memoir by a survivor of psychiatric mistreatment. It shows, once again, that if you know the details of a case, current conceptions of mental illness and treatment are a poor fit. The author’s treatment in one case of ‘schizophrenia,’ the patient, called Molly, is especially suggestive and heartening." "Dr. Al Siebert’s book adds to the growing, compelling body of first-person accounts of subjection to the arbitrary powers of psychiatry. yet, his is also a story of liberation, of breaking free from the mold, of overcoming stigmatization. Siebert’s candor about his own circumstances, his eye for detail, and his insight into the deluded thinking of his ‘helpers’ make for fascinating reading." "Transformation and resiliency — we all need more of both. 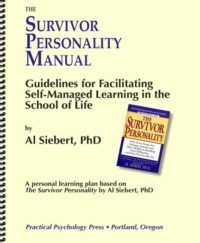 Al Siebert got his the hard way, by shaking off a cook-book psychiatric diagnosis and growing past it. His book takes you on a heroic journey that might help you with yours. I found it fascinating and inspiring to read."